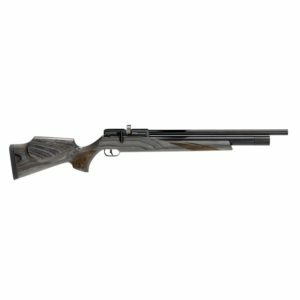 The Streamline .177 EXP Laminate air rifle from FX has been designed and built to include features and technologies of more expensive air rifles at an entry level price. The Streamline .177 EXP Laminate air rifle from FX has been designed and built to include features and technologies of more expensive air rifles at an entry level price. Features include a precision regulator to meter air flow, multi-step power adjuster gives you the option of power settings. The all new one-piece breech block is attached to the air cylinder in a manner that saves weight and prevents leaks. 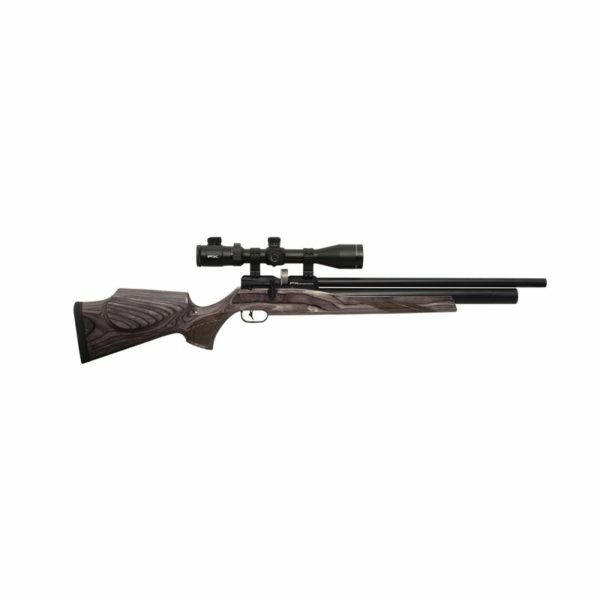 The Streamline is cocked via a super short side lever system and a low profile magazine allows for a lower scope mounting position. FX has spared no expense in the Streamline air gun. 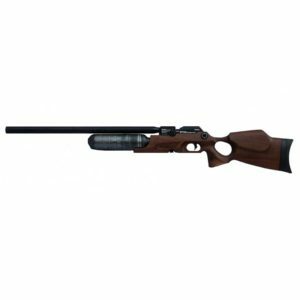 This small lightweight air rifle sports the companies Extreme Benchrest winning Smooth Twist barrel and an Italian designed synthetic stock. 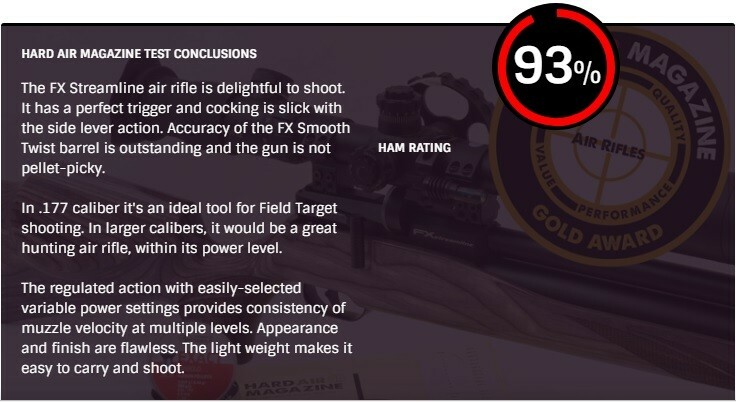 Noise is kept to a minimum with the companies shroud system technology that can be expanded to further reduce Decibel levels for silent sniper style hunting and back yard shooting. Every Streamline is fitted with the companies new trigger system for the finest in shot control and target grade performance, as well as a pressure gauge showing state of charge.